In these classes you will continue working on the skills that enable you to enjoy outings with your dog while working towards one of the several different Canine Good Citizen Certifications, which are Canine Good Citizen (CGC), Canine Good Citizen Advanced (CGCA), the Urban Canine Good Citizen (CGCU), or any of the different levels of AKC Trick Dog. It is recommended that your dog has completed a basic dog training class 1st. After the completion of any of the CGC classes, the corresponding Canine Good Citizen test will be available for you to take free of charge. All of the skills needed to pass the CGC tests will be taught during these different classes. Each level will meet once per week for 1 hour for each class. Some of the classes will be held outdoors, except in the case of extreme weather. Below is some information about the AK Canine Good Citizen program. The AKC’s Canine Good Citizen (CGC) Program, started in 1989. The CGC Program is designed to reward dogs who have good manners at home and in the community. The Canine Good Citizen Program is a two-part program that stresses responsible pet ownership for owners and basic good manners for dogs. All dogs who pass the 10-step (10 different test stations) Canine Good Citizen test may receive a certificate from the American Kennel Club. Click here to see a video of a Canine Good Citizen Test. 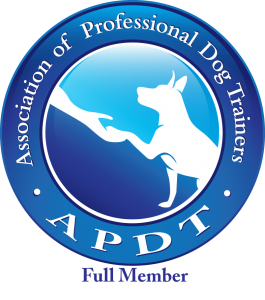 Many dog owners choose Canine Good Citizen training as the first test of their dog’s skills, beginning with the AKC S.T.A.R. Puppy program (shown on the Positive Puppy page). The Canine Good Citizen Program lays the foundation for other AKC activities such as obedience, agility, tracking, and performance events. As you work with your dog to teach the CGC skills, you’ll discover the many benefits and joys of training your dog. Training will enhance the bond between you and your dog. Dogs who have a solid obedience education are a joy to live with, they respond well to household routines, have good manners in the presence of people and other dogs, and they fully enjoy the company of the owner who took the time to provide training, intellectual stimulation, and a high quality life. AKC Canine Good Citizen® Becomes a Title! Canine Good Citizen candidates are to have completed either the Pet Dog Manners or acquired the S.T.A.R. Puppy certificate or have the approval of Instructor. The American Kennel Club prerequisite for the CGC Advanced Class requires that the dog already have the basic CGC title before continuing on to the advanced class. Here is a video of the CGC Advanced test being given. All dogs, including both purebred and mixed breed dogs are welcome to participate in the AKC’s Canine Good Citizen (CGC) Programs. Dogs must be old enough to have received necessary immunizations such as rabies vaccines. Owners will sign the Responsible Dog Owners Pledge attesting to having the dog under the routine care of a veterinarian who will work with the owner to determine an appropriate plan and schedule for vaccines and other health care procedures. There is no age limit for the AKC CGC or the CGCAdvanced test. A dog is never too old to be a good citizen. Puppies who have completed all immunizations and boosters may be tested, however, because we know that behavior and temperament can change over time, when puppies pass the CGC test, owners should have them re-tested as adults. Walks on a loose leash in a natural situation (not in a ring) — does not pull. Sit — stay in small group (3 other people with dogs). Down or sit stay — distance (owner’s choice). Dog is on 20–ft line, owner walks away with back to dog, picks up an item (e.g., backpack, training bag, clipboard, folder etc.) placed on the floor/chair/ground by the evaluator and returns to the dog. Recall with distractions present (coming when called). Handler goes out 20–ft. **(off center) and calls dog. Dog will sit or stand stay (owner’s choice) while owner enters/exits a doorway or narrow passageway. Owner calls dog through door when ready. the owner may choose to have the dog go through the doorway at the owner’s side. Open to all breeds of dogs, this test involves your dog performing a series of 12 exercises that are typical for a farm environment such as being in close proximity to livestock (who are always penned to avoid any altercations); jumping and staying on hay/straw bales; walking on unusual terrain; and jumping over logs. There is no herding involved. Instead, the goal is to assess his aptitude as a working farm dog by exhibiting self-control, confidence and trust with you or his handler. Watch a video by AKC about the Farm Dog test here. Details about testing location and price will be updated soon.